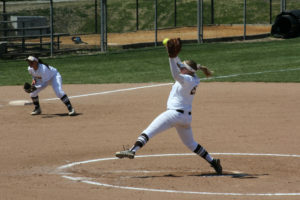 The Rowan softball team is not just gently winding down their regular season, they are barreling down the tracks and punishing any team that is unfortunate enough to be on their schedule. 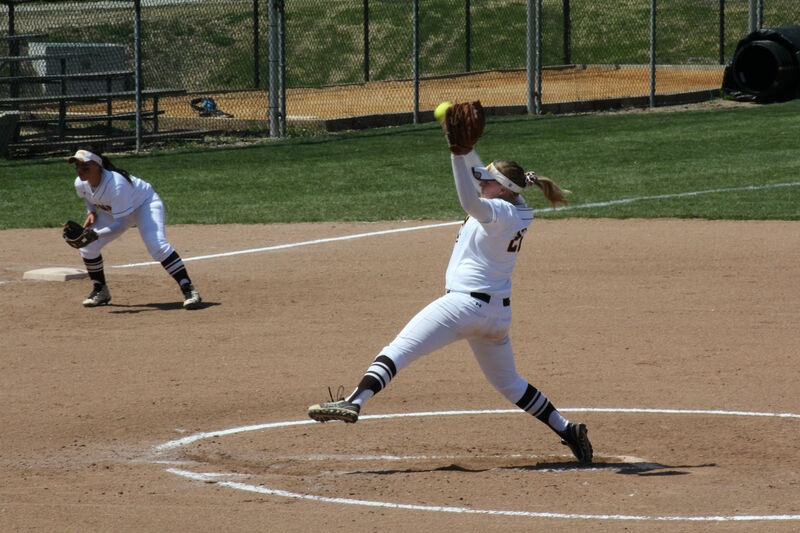 And according to senior pitching ace Beth Ann Hyland, they are not even playing their best softball as a team. It is a thought that must be terrifying to the rest of the teams in the New Jersey Athletic Conference. 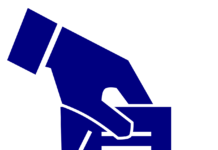 The Profs are already the conference’s No. 1-ranked team, and are a weekly top 15 showing in the National Fastpitch Coaches Association Top 25 poll. 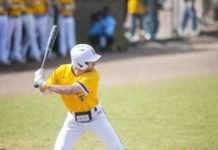 Rowan (31-7, 14-2 NJAC) continued to tear through their competition, defeating William Paterson in both games of a doubleheader on Wednesday, April 27. The Profs took the first game 4-0 and followed up with a 9-0 win. 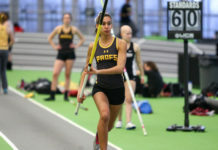 The wins come after a doubleheader at New Jersey City University where the Profs completely beat up on the Gothic Knights. The combined score of the 10 total innings was an astonishing 43-5. The brown and gold shattered their previous home run record in a single game (4) after they blasted eight in the first game with NJCU. The Profs have been able to combine their superb offense and defense all season long, but especially of late. In their last 12 games Rowan has outscored their opponents by a combined score of 91-13. On the season, the Profs scoring differential is absolutely confounding. They have scored 212 more runs than they’ve allowed in their season thus far. The next best mark within the conference is plus-111. Prior to the Profs’ 2016 campaign there was chatter of a possible national championship trophy being brought to Glassboro by the softball team, and it is certainly not out of the realm of possibility. But first, Rowan has to get through the NJAC tournament — something they could not accomplish last season. They have the core leadership this season that recognizes the imperfections of the squad, and is wise enough to swiftly make the required adjustments. A few times this year the seniors have tabbed a lack of intensity as the chief decider in losses, so maintaining a raucous dugout has become a focal point among the captains. With Wednesday’s sweep, the team clinched home field advantage throughout the conference tournament. Even with that benefit Wilson will not allow entitlement to seep into her locker room. For such a compelling, dynamic team, Wilson breaks down the key to the Profs’ postseason success into its simplest form. “Get good pitching, score one more run than they do,” Wilson said. For comments/questions about this story, email sports@thewhitonline.com or tweet @TheWhitSports.